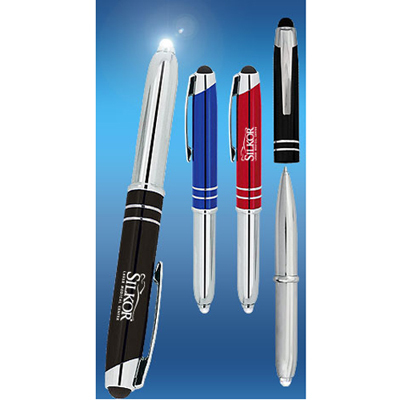 Engage your target audiences and keep them coming back with the imprinted Olson Stylus Metal Pen. 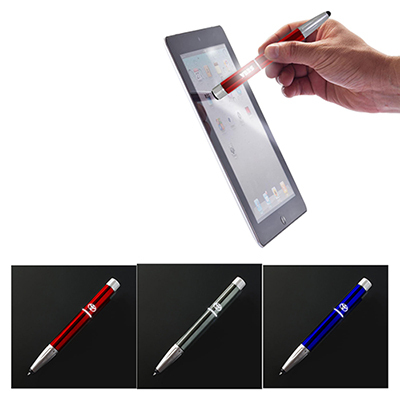 Anyone who writes on a daily basis will find this pen extremely useful. 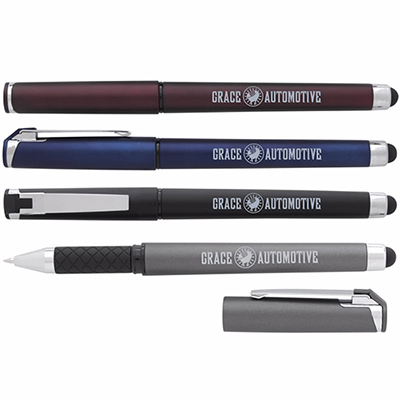 This classy slim style pen includes a standard ballpoint ink and a rubberized stylus. It comes with 3 lines of Laser engraving. 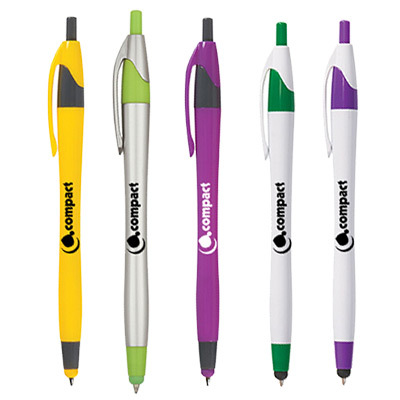 Perfect to hand out at tradeshows, conferences or school events, these pens are one of the best all-around giveaways. Call and order from Promo Direct today! 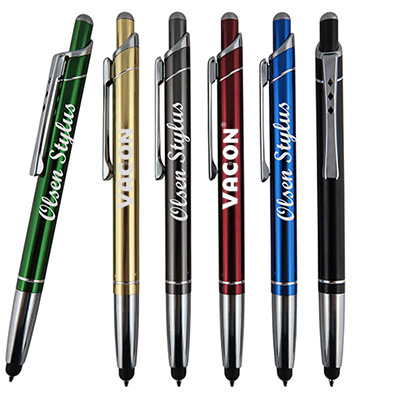 Classy slim style click action mechanism!